"Embodied Awakening from a Psychotherapy Perspective"
There's still room in this Evening Event! ​This weekend retreat focuses on the embodiment aspect of Trillium Awakening as the ground and doorway to Whole-Being Realization. Join us for a enlivening evening that will include the traditional elements of a Trillium sitting - meditation, gazing, and reflective sharing - plus a rich topic presentation. In the presentation we will explore how conscious embodied awakening - or in Trillium Awakening terms, whole-being realization - relates to the broader sweep of human development and maturation, and how the body is foundational to transpersonal growth. Discussion will be supplemented with experiential exercises to deepen our sensing and learning of key concepts. The process of whole-being realization involves the marriage of spirit and matter. While having access to our transcendent nature is important and provides a kind of 'lubrication' for our humanness, the realization process can be advanced by slowing down and deliberately attuning to our bodies, as they are, in the immediate moment. John Bottone has been a spiritual seeker since his twenties when he became a teacher of Transcendental Meditation initiating hundreds of people into the technique. In his thirties, depth psychotherapy became an important embodying force leading him to becoming a psychotherapist about 15 years ago. He found the Trillium path in 2008 and immediately realized the integrative power of the Trillium transmission for embodiment and opening to Consciousness in one’s life. ​He now teaches workshops using the Trillium path to guide people to a new paradigm of reality: to live from a body-centered awakened life. Margit Bantowsky's spiritual journey evolved out of graduate studies in Imaginal Psychology - as juicy as this was, she felt something was missing. She encountered the Trillium path in 2011 and her realization of conscious embodiment in 2012 finally gave Margit the sense of "coming home" she longed for. 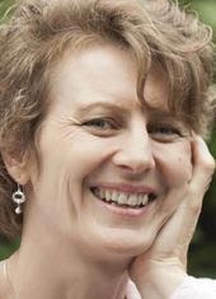 As a sensitive, creative person who struggled with debilitating self-hatred, Margit is passionate about supporting people to find peace in themselves and delight in and express their unique gifts and brilliance. She has found that embodied awakening, especially in community, really helps this process. To create an optimal environment for personal transformation, we will limit enrollment to a maximum of 12 participants. Note: people not enrolled in the workshop are welcome to attend the sitting! If this is your first Trillium sitting, please arrange to have a free Orientation Conversation with one of the workshop teachers beforehand. "The embodiment dimension of our work helps you embrace infinite Consciousness throughout the full range of your unique human form, from its messy, uncomfortable aspects to its most delightful qualities."